Using floured hands or a rolling pin, push out the dough disk on lightly floured parchment paper, forming a 12-inch round. Transfer the parchment paper with the crust to a large rimmed baking sheet. Chill the dough while preparing the filling. Position the rack in the center of the oven and preheat to 375°F. Combine the apples, sugar, flour, cinnamon, salt, and lemon zest in a medium bowl; toss to blend. Stir in the butter pieces. Mound the apple filling in the center of the rolled-out dough round, leaving 1 ½-inch plain border. Gently fold the dough border up over the apple filling, forming a rim, and pleating the dough edge as needed. Pinch any cracks together with your fingers. Sprinkle the Gouda cheese over the top of the filling. 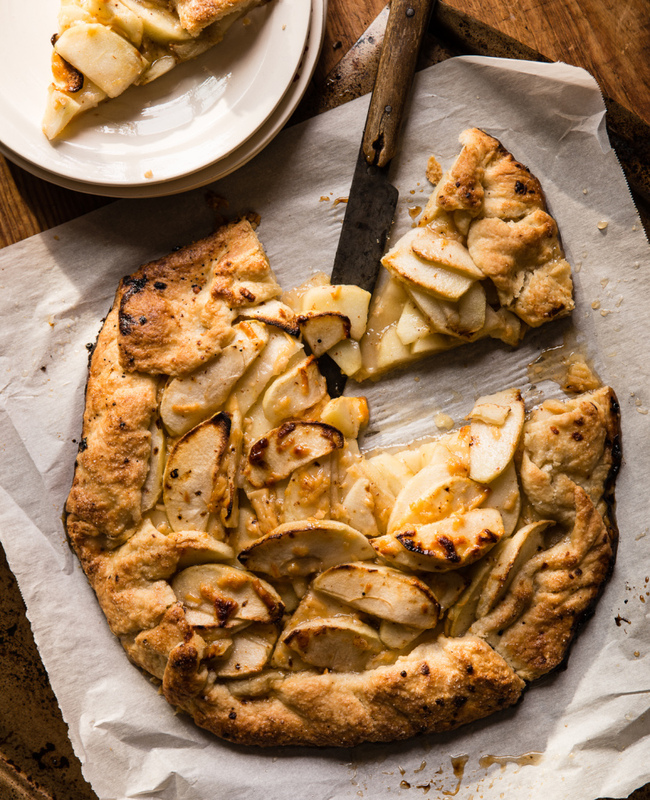 Bake the crostata until apples are tender and crust is crisp and golden, 30 to 35 minutes. Run a long sharp knife under the crostata to loosen it from the parchment and to prevent sticking. Slide a flat pan bottom under the crostata and transfer to a serving plate. Cut into wedges and serve slightly warm, with a dollop of crème fraîche if desired.